DESPITE the precarious position that Woking FC find themselves in this season, boss Garry Hill still found time to avert his attention from the game, writes Andy Fitzsimons. 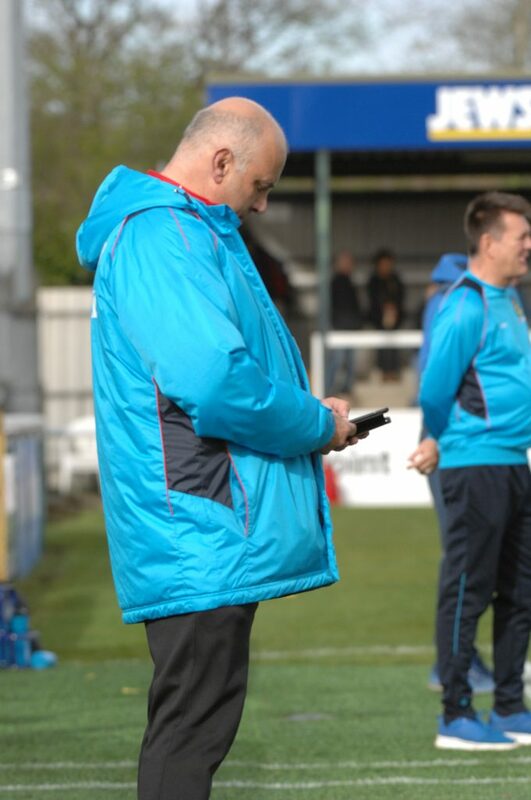 Phonegate: Garry Hill on his mobile phone during Woking’s crucial clash against Sutton United. The Cards’ boss, 57, was caught on his mobile phone in the technical area during last Saturday’s (1 April ’17) National League clash versus Sutton United. And while Woking were being penned back by their south London rivals in the second half, Hill’s attention was seemingly elsewhere after he was believed to be checking up on a few results and texts in full view of the camera. Unlike their opponents, who found themselves in hot water after their reserve team goalkeeper, Wayne Shaw, was caught eating a pasty during a live television broadcast against Arsenal, Hill’s mobile antics went largely unnoticed by the 1,500-plus strong crowd. 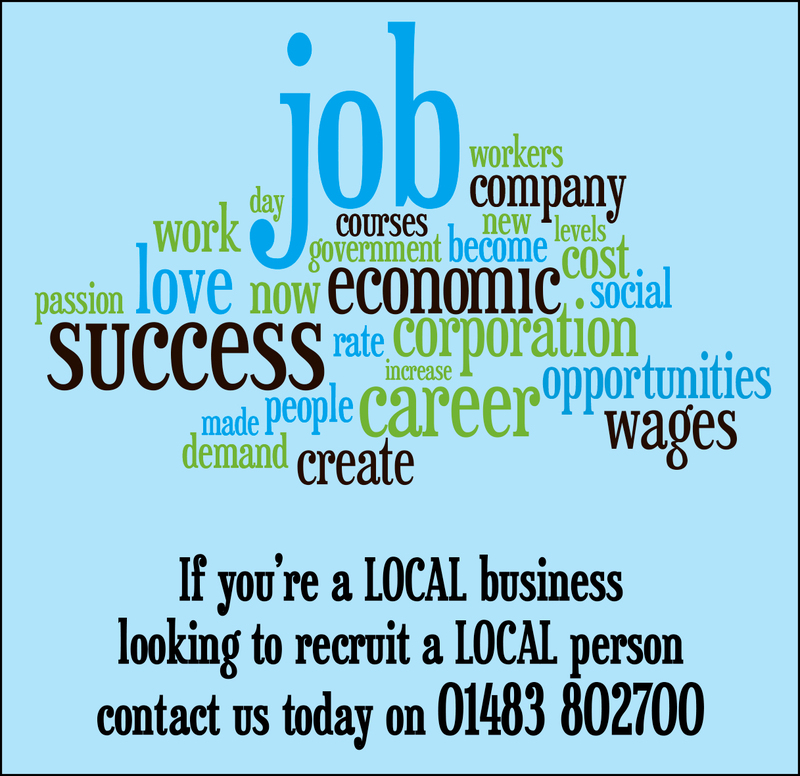 But for some of the Woking faithful, it’s proof that Hill’s passion has waned and its time for change. For other onlookers, it’s testament that Hill still cares and is simply checking in on rivals Torquay United. While Hill’s managerial style certainly helps to polarise public opinion, there’s no denying that the former Dagenham & Redbridge boss puts in the miles away from The Laithwaite Community Stadium, even if he’s clocking up more browsing time from the sidelines. Prior to The Cards’ fixture against Sutton United, Hill reportedly made the long journey to watch The Cards’ next opponents, and regularly commutes from his home in Essex to Woking, Surrey, and twice a week to the club’s training facility in Tolworth. 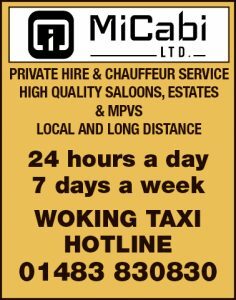 Woking’s 2-1 win over the U’s last Saturday reversed their 4-1 away defeat earlier in the season, and if superstition is anything to go by, Hill could well be seen again checking up on proceedings elsewhere if it helps to get his side out of the quagmire. With Hill otherwise engaged, assistant manager Steve Thompson did the post-match interview. 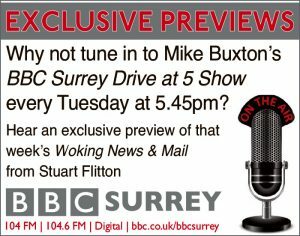 He said: “It was a massive win [against Sutton]. We started well, and it was an excellent header from Delano [Sam-Yorke] to give us an early lead. “In the second half, however, we were like a boxer on the ropes – there’s no denying that. But the players responded well following the car crash result against Maidstone United,” he added. In the aftermath of the players’ dismal showing against The Stones, Hill could in part be excused for taking his eyes off the game for 20 seconds when his own players took their eyes off the game for 45 minutes the previous Saturday. “The league table doesn’t lie,” affirmed Thompson, “it tells you that there’s still a lot of work to be done, but we got what we deserved against Sutton. Thompson accepts that every fixture from hereon will be like a cup final; so having the right focus will be key. “Barrow will be a tough fixture; they’re all tough fixtures. Barrow are a big strong side, so we know what we’re up against and what to prepare for on Saturday (8 April ’17),” he added.